From 1 February 2018, violators will be fined USD3,000 or jailed for a year, or both. "Cigarettes have a direct effect on the natural environment," Director-General of Marine and Coastal Department Jatuporn Buruspat told Phuket Gazette. "The butts clog the drains contributing to floods. When the cigarettes stay under the beach sand for a long time, it also negatively affects the eco system. And then when the chemicals from the cigarette butts reach the water, it also releases cadmium, lead, arsenic and some acid from insecticide which are poison to the natural food chain." Director-General Jatuporn said the ban affects some of the most popular beaches such as Patong Beach, Koh Khai Nok Beach, Koh Khai Nai Beach (Phuket), Hua Hin Beach, Cha-Am Beach, Khao Takieb Beach (Prachuap Khiri Khan), Pattaya Beach, Jomtien Beach, Bangsaen Beach (Chonburi), Samila Beach (Songkhla) among others. Tourists at the popular Patong beach in Phuket. "Anyone who breaks the law will face 1 year in jail or a maximum of 100,000 Baht fine (USD3,000), or both," the Director-General said. 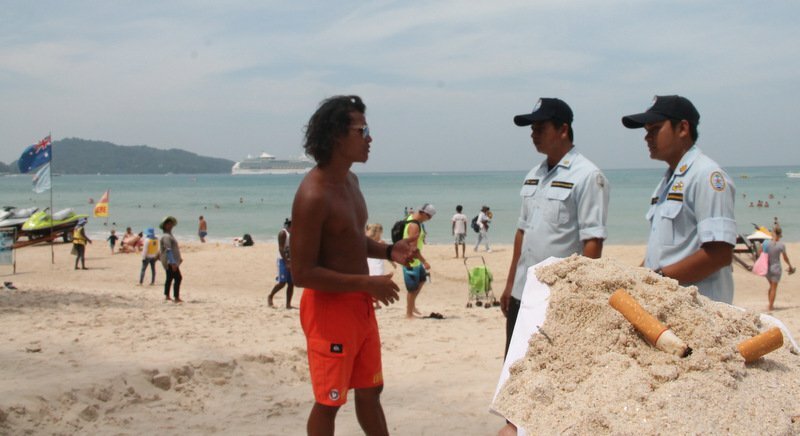 The 90-day, or three months, trial period ends on 31 January, during which while beachgoers will be informed of the law and prohibited from smoking on the beaches, Thai authorities won’t punish violators until 1 February. "November 1 is the first day of the campaign. We are starting by informing people in the Patong area about how this ministerial rule by law will be enforced. Then, after 90 days, we will begin fining people. "The law will be enforced properly from February 2018, when officials will fine people who break this law," Phuket News quoted the Director-General as saying. "We will have a total of 18 smoking areas along the beachfront and we will have signs warning people about the law. We will post signs in multiple languages so foreign tourists can learn about the law," Jatuporn added. As of now, seven designated smoking areas have been set up across Patong beach. 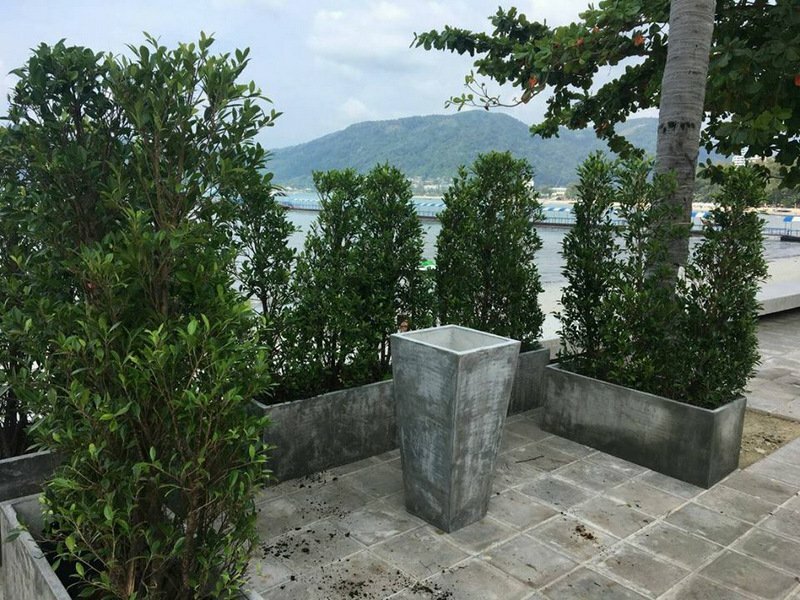 One of the seven smoking areas that ﻿have been set up along the Patong beachfront. The company estimates that each cigarette break takes at least 15 minutes. There are now 23 zones in KL designated as no smoking areas.